You may discover a horse person hidden inside of you, if you find yourself dreaming -and daydreaming- about horses! Clues that you are a horse lover are pretty easy to spot. The first sign is when you repeatedly catch yourself spending a lot of time thinking about horses. Soon you are imagining riding, jumping, and doing all sorts of wonderful things with a horse. Then when you start devoting your weekends and vacation time to horse shows and clinics, well, you may be hooked. You can imagine having a great time with a horse, so maybe it’s time to get started! Of course you will have to find a horse to work with, but there’s lots of little horsey things to learn as well. 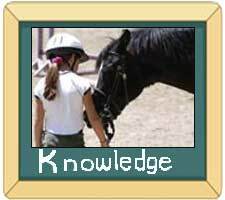 Armed with a little knowledge will go a long way in helping on your journey to becoming a horse person. A cowboy is someone who rides a horse and whose job is to take care of cows or horses. 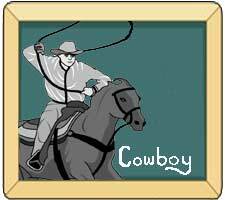 They may perform in rodeos and some may also have the qualities that are commonly associated cowboys, as depicted in movies. An equestrian is a very hardworking person that is committed to the sport of riding horses, and is also committed to the animals, horses and ponies, that he or she rides. Equestrian apparel in not about high-fashion, rather it’s about good functional clothing for activates both on and off of a horse. 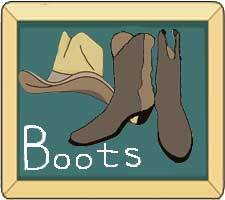 Appropriate apparel starts with a pair of riding boots. You know you have a good boots if they get crinkly around the ankles and have dirt on them. And no, you don’t wear them to a fancy restaurant. You don’t get a horse to move by waving your hands about with your legs flapping, and then hooting out an exciting “hi-yah!” You do use your voice when riding a horse, and you also use your seat, hands, and legs. You will usually get your horse to move by looking up, moving your hands forward, and squeezing with your legs. 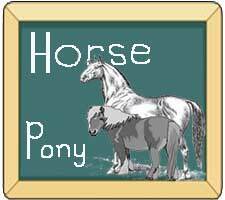 It’s important to know about the types of horse breeds, and the difference between a horse and a pony. A pony is not a baby horse, nor is it a miniature horse. 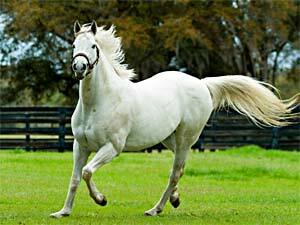 Do some research at your local library or surf the web for commonly used horse terms and quick facts to help you out. When other horse lovers know you have limited knowledge, experienced horsemen and women are far more likely to explain terminology, share information, and help you out in any way they can. You’ll never learn unless you ask, so don’t be afraid to ask for an explanation about a horse term that you’re not familiar with, or if you need clarification about something. Many horse people are very happy to discuss their horses. 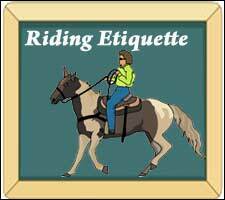 Arena riding may be the only option at times, so understand and follow proper horse arena etiquette. It will make ring riding with other’s fun and safe. Always ask a horse owner for permission before touching their animal(s). Horse people are a strange breed, and many times normal people may not understand their obsession! So be prepared for the strange stares that you may get when you start wearing barn clothes into the grocery store. You may even get a funny look when you have to remove bits of hay or tack off of the passenger seat when you’ve offered your friend a ride. Set an example and be the best horse person you can be. Don’t flaunt your experience or act like a know-it-all. Instead take your social clues from the horses themselves, and act like they act with their herd. Horses tend to hang with those that are of the same rank or a rank just above or below themselves. So with other horsey people, be willing to share what you know, learn from them, and work on becoming friends. With those that are not into horses or learning about them, don’t be a bore. Start on your exciting adventure by checking out the different types of horses and ponies, and find the breed that’s best for you! Photos and collage images provided courtesy of Animal-World.com contributors on Dr. Jungle’s Pets and Animal Photos and Classroom Clipart.